Takeaway: With a goal of bringing more of a scientific focus into the business of growing, Eric Sharp founded Santa Cruz-based Growth Science Nutrients and never looked back. 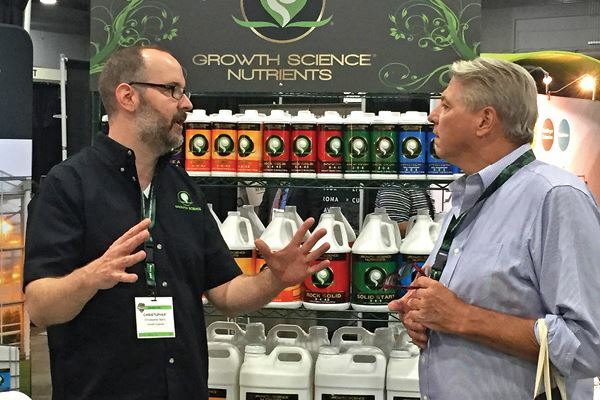 Now, as the company expands, they have turned their attention to the burgeoning organic nutrients industry. How did you get into nutrients? I spent over 10 years as a grower myself. Back when I was just getting started, I always tried to up my game by observing and asking questions of growers who were more experienced and seemed successful. After some time, I began to notice that the advice from various old-timers would often completely contradict one another. I concluded that there was a singular science governing how these plants worked and no longer wanted to base my actions on anecdotes and hearsay. I wanted to base my actions on science, so I started enrolling in horticulture classes on organic growing methods, hydroponic growing methods, and so on. I was now basing my actions on the fundamental truths of how the plants function. First and foremost, it was obvious to me that nutrient companies were profiting from this lack of information by trying to separate what the plant needed into as many bottles as possible to squeeze a few extra dollars out of growers. My first thought was “Come on man, these are farmers.” Being a farmer isn’t easy, you need all the help you can get. I knew I could do better. This was back in 2012 when some pretty big changes were about to happen. I knew there would be some consolidation. It would evolve into a business. There would be large-scale projects run by business-savvy growers who would be running their operations off spreadsheets rather than throwing a bunch of money at a project in hopes that it ends up being profitable. "I wanted to base my actions on science, so I started enrolling in horticulture classes on organic growing methods, hydroponic growing methods, and so on." Those growers would want a high quality, high-performance, consolidated solution, without all the gimmicks. So I assembled a team that included a chemist, a soil scientist, and myself to incorporate those principals and it became Growth Science Nutrients. When and where did the company begin? The company was founded in Santa Cruz, California in 2013. Santa Cruz has always been a mecca for growers. It’s also home to a large university that focuses on life sciences. It was the perfect incubator for such a project. How does your company philosophy translate into opportunities? Ten years ago the margins were much larger, so no one really cared too much about what they were paying for nutrients. Times have changed, prices have dropped, and the market has become more competitive. Growers can’t afford to overpay for a pretty bottle with a cartoon character on it. And when they realize that they can get the same results or better, for a fraction of the price, honesty starts to pay off. Nobody likes getting ripped off. How did you gain market share and recognition? We spent two years in research and development, perfecting our line. During this time we conducted numerous side-by-side comparisons against the largest names in the industry. We always came out either ahead or on-par with them and we had a price point that was unbeatable, but we didn’t have brand recognition. The only way that our company was going to gain significant market share, in such a competitive and ever-evolving industry, was to distinguish ourselves by offering something new. So, we worked closely with our clients, ensuring the success of their trials. We helped them dial-in their feeding regimens to increase yields and quality while cutting costs. It was a level of service and support unheard of at the time. It made us more than just a nutrient company. By helping our clients carve out a pathway to success we became their ally. Has your company moved or expanded since the beginning? We started with the Northern California and Colorado markets, shortly thereafter we expanded into the Northwest. We are now taking the company nationwide and hiring four additional sales reps to cover the southwest, Florida, the northeast, and Great Lakes area. We also intend to launch our organic line this year. The company is really starting to take off. What’s your current product line? We have a five-part fertilizer line designed to meet the challenges of a rapidly changing industry by consolidating what the grower needs into less products. The foundation of the line is Base A and Base B. They contain most of the essential elements the plant needs and are designed to be used in all stages of growth. Our veg booster Solid Start contains additional nitrogen and potassium to achieve the most ideal NPK ratio in the veg stage and also contains all the boosters and additives to increase root mass and promote luscious growth. Rock Solid is our flower additive that combines three products in one: a PK booster, terpene enhancer, and bloom booster. We then round out the line with our silica product, Strength. 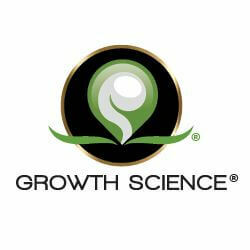 What new products will Growth Science be launching this year? The future is organic, so it gives me great pleasure to announce that we will be releasing our long-awaited organic line this year. We have been working on the R&D for this line for more than four years now. The industry lacks an organic fertilizer solution that meets three crucial goals. Number one, being truly organic. Many companies try to skirt the requirements of organic certification by using the word “organics”. Well, “organics” isn’t really a word. It’s a loophole. Our line will be OMRI- and CDFA-certified for use on organic crops. Number two, the biggest problem with most organic fertilizers is a lot of the elements are not in a form that are readily plant-available, therefore many growers use beneficial inoculants and teas in order to speed up the process of making those elements available. Our line will be 100 per cent plant-available. No need for waiting around. Third, we will be able to deliver this line at a price point that won’t break the client’s wallet. It’s our goal to help revolutionize the organic side of this industry. Visit growthscience.com for more information.